The Skechers Go Golf Pro 2 is one of the best golf shoes on the market today. These golf shoes are primarily known for comfort and are made for golfers who prefer a simple design. The Skechers Go Golf Pro 2 golf shoe is the new and improved version of the highly rated original Go Golf Pro. 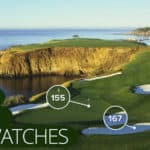 Skechers has recently invested a lot in golf shoe technology and is looking to expand heavily into the golf marketplace. You’ve likely seen the funny commercials with Matt Kuchar, which have received a lot of attention. 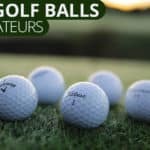 Although Skechers has great brand recognition, they’ve only recently made a serious name for themselves in golf. The Skechers Go Golf Pro 2 comes packed with a number of great new features that make it stable and comfortable when walking a golf course. They’re also durable due to the quality construction. Overall, they’re one of the best golf shoes on the market for comfort. 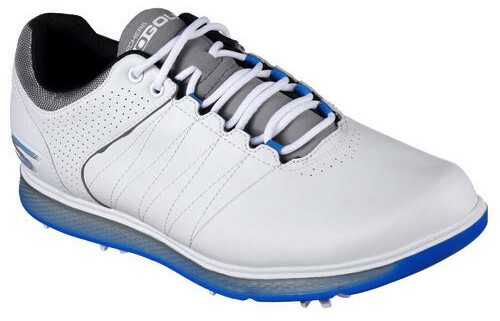 The new Skechers Go Golf Pro 2 golf shoes feature a weatherproof leather upper. The caveat being that this golf shoe offers a bit more protection that your average “rain proof” shoe. The Go Golf Pro 2 golf shoes come with Skechers’ trademarked H2GO Shield waterproof protection. This protection means that the golf shoes not only have waterproof leather uppers but are seam sealed as well for maximum protection. This means that you can comfortable wear these golf shoes while playing in the rain or in other wet conditions. 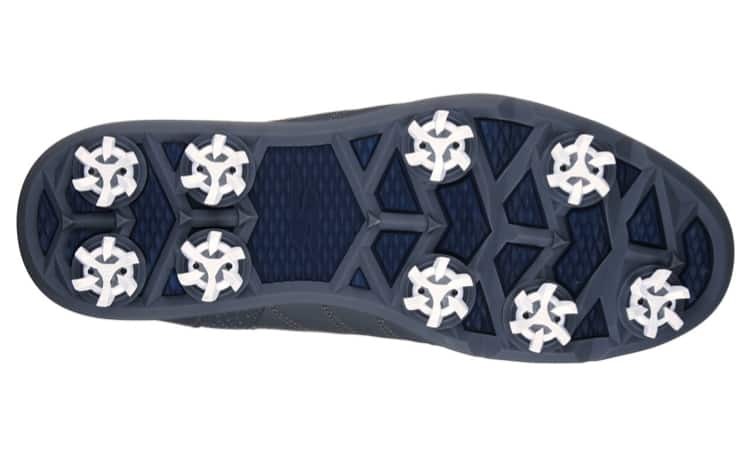 The Skechers Go Golf Pro 2’s also feature a dynamic diamond-design traction plate outsole and nine replaceable spikes. 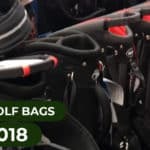 This unique design gives you maximum grip when swinging the club and should give you more confidence when hitting your driver or fairway woods on wet days. The nine replaceable spikes prevent your feet from slipping and can easily be replaced when they get dull. So you don’t have to worry about walking only on grass to save your spikes. Far above any reason for purchasing these golf shoes is the comfort that they provide. Skechers is known for making really comfortable shoes and crushed their competition with the first version of the Go Golf Pro. 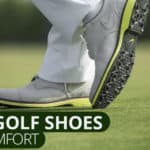 If want to prevent your feet from hurting during the round, these are some of the best golf shoes for the money. The Go Golf Pro shoes are made from ultra soft fabric and feature a cushioned insole to enhance comfort. The structure of the shoe is lightweight and they include a cushion comfort insole. Skechers is not known for making sleek looking golf shoes. As you can tell from the pictures, they are keeping with that reputation. The only con we really found when analyzing this shoe is the design. 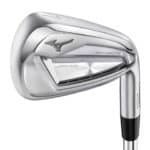 These don’t exactly turn heads and are meant for players that want comfort and playability not slick looks. If you can get past the design or actually find it appealing, these should be at the top of your list of best golf shoes. Are these the best golf shoes for you? There is no doubt that the Skechers Go Golf Pro 2 golf shoes are a great option for those looking for comfort. They are built to make your feet feel good for the entire round – plain and simple. These won’t turn heads on the course, but they will certainly make your round enjoyable. If you’re tired of your feet hurting by the time you hit the turn, these are the best golf shoes for you. 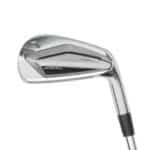 For more of our golf shoe reviews please check out our best golf shoes page.